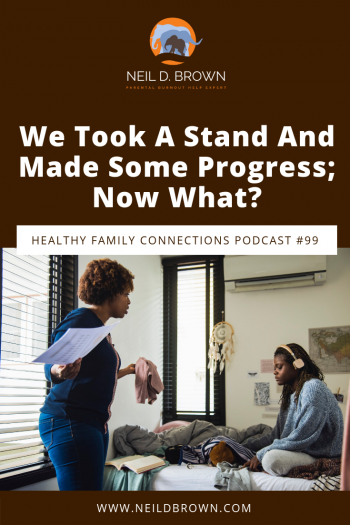 In this episode, I will address the issue of changing out of an adversarial parent-teen relationship into one where parents and teens work together in support of adolescent growth and development. We read your book and loved it! We realized we are definitely in a control battle with our 15-year-old son. He became very disrespectful to us and his grades and attitude towards school were dropping. We had the chat with him about the 2 things we were going to hold him accountable for (being respectful and putting his best effort in everything he does.) We then removed the 3 privileges he values (phone, PS4, and time with friends) and told him he would earn them back when we saw a sustained change. Your book did not mention a time frame (which made it hard but I understand the reasoning), so after 2 weeks when we definitely saw a change we gave back his privileges in limited amounts. My question is this: what happens if we start to see him slip now that he has things back? Do we remove all privileges again? I could see this becoming a cycle. Is there any timeframe you can recommend to know the behavior change will be maintained? He turns 16 in about a month and the driving privilege is very important to him. Any suggestions would be appreciated! Thanks so much for your question, Cindi. 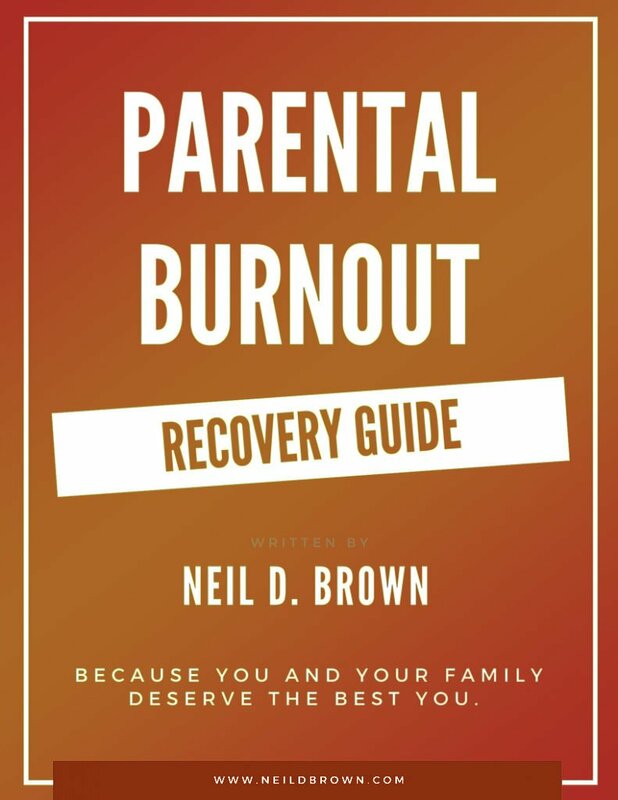 There is a big issue here that many parents get hung up on so this gives us a chance to put things in perspective and help you and many parents get back on track. Removing privileges is a major takeaway for many parents who read, Ending the Parent-Teen Control Battle. And it’s not a bad thing. It sends the message that kids need to straighten out their act and so every once in a while, parents withhold privileges and kids straighten up. But if you are truly in a control battle, removing privileges won’t get the job done by itself. Let’s look at what the structure of a control battle is because what we really want to do is change out of that destructive relationship structure. A control battle is where parents are trying to get their teenager to engage or stop certain behaviors, and the teen is trying to avoid those parental efforts. So it’s teenagers on one side and the parents on the other. We want to change that to parents and teenager on the same side, both with the same goal, a happy successful teenager heading productively towards young adulthood; their next developmental stage of life. Essentially Cindi, what we want to do is shift from trying to get your kid to do their work and speak respectfully, to helping your son learn and grow as he crosses the metaphorical footbridge from childhood to young adulthood. I find the metaphor of a curved footbridge helpful when thinking about the adolescent journey. Adolescence isn’t a fixed state. It’s a very dynamic stage with many changes and challenges as kids move from their childhoods into early adolescence, their first steps up the footbridge, then middle adolescence, on the top of the bridge, and then later adolescence heading down the footbridge towards young adulthood. This journey goes from age 13 to age 18. And from there, on to their young adulthoods. By the way, young adulthood is still a neurologically developmental period so it can also be thought of as the last stage of adolescence. As kids take this journey, parents are taking it right along with them. As our kids move along in their development, they take on more and more responsibility, and as they do, the parental role changes. Early in the teen journey, parents provide a lot of the executive functions for them, especially planning and organization and accountability to make sure plans get executed. As kids mature, they take over that function and do their own planning and organizing. A more mature teen will say to themselves, “I’d better do my homework now, because I’ll be at the game tomorrow and won’t have time then. “ As kids mature and take on the primary responsibilities in their lives, the parental role shifts more towards advisor, mentor, and supporter. Sure, parents will still need to have standards and limits and may need to set those limits assertively from time to time, but the overall balance of providing a kid’s executive function shifts as teens grow and use theirs more independently. Cindi, one way we can look at what happened with your relationship with your son, is that he needed more parental structure than he was getting. He wasn’t mature enough to organize, plan and manage his responsibilities independently yet. You just gave him too much discretion over his use of time and you and your husband and your son got into conflict about it rather than being clear and having accountability in place. Well, now you are clear and have put accountability in place. Excellent! Way to go! And your question is, how do we avoid backsliding and constantly needing to withdraw privileges, which can be another version of the control battle? Now instead of telling him he screwed up and needs to get his act together, you’re telling him that he is learning and growing and as he does, you have his back; that what’s going on is reasonable and that you have faith in him, faith that he will continue to learn and grow. And of course, you remember from the book that having faith in your teenager is a critical part of ending the control battle. Your son is on the cusp of 16 and he wants you to support him driving. Under what circumstances would you support that? What kind of maturity are you looking for? Probably it’s when you know that your teenager intends to follow the rules and isn’t looking for ways around them. And he demonstrates that with his school effort and how he responds to parental requests. He demonstrates that with the way he applies himself. Of course, he doesn’t always get it right. But when he doesn’t, does he respond to corrections, limits, and guidance in a reasonable way? You can talk about these issues and standards directly with your son; ask him to take some time and reflect on them, and then talk with you about it. What we’re looking for with your son is more than a change in behavior, it’s maturation, a change in attitude. Does he care? Is he committed to his best? Is he committed to growing his potential?Click To Tweet If he is, he’s setting himself up for a life of happiness and success. Cindi, some other things to think about; other than school, are there other healthy ways that your son is applying himself? A sport, a musical instrument, a school club, an activity such as cycling, or rock climbing for instance? Does he have a passion other than his games? Many kids at 16 think about getting a job. A job not only offers money, but it instills a sense of responsibility from a source other than parents. Positive social engagement and self-development other than required basic responsibilities is an important part of adolescent maturation. Cindi, I’m proud of you and your husband. You took a great step forward, you’re getting good results, and you’re asking questions about how to continue your progress and not fall back into old patterns. That’s just plain fabulous. So parents of teens and folks who work with teenagers, we have to keep our thinking focused on growth and development, the journey to young adulthood and not get caught up in control battles. Teenagers mature in different areas at different rates so if your teen needs more structure than they have the capacity to provide for themselves, then make sure that structure is in place.Click To Tweet Let’s not focus on consequences and punishment when what your kid needs is structure and support. Let’s provide it and let them know that it’s just until they build the skill for themselves. That way instead of just being compliant, they are working towards something they can be proud of. Thanks for tuning in today everyone and special thanks to Cindi for her terrific question. I’ll remind everyone that an iTunes review would be greatly appreciated.